LIFT's 737 Tourist Class Seating is redefining the narrative for narrow body economy class seating. We have created a product that meets a range of mission requirements, and is designed to deliver unparalleled maintainability and long lasting comfort to your passengers. Inspired by modern day home furniture every detail of our seat has been carefully crafted. We believe in designing products that inherently express ‘comfort’ - inviting you to sit and relax. The seats have been ergonomically optimized and designed for maintainability and reliability, ensuring long term comfort and reduced cost of ownership. We partnered with PearsonLloyd to combine their design excellence in aviation, furniture and healthcare, as well as in a variety of other fields with LIFT's engineering and product development expertise to develop our Tourist Class Seat. We have created a seat with uncompromised comfort without sacrificing the pitch, width or weight. Tourist Class Seating is the first seat specifically designed to complement the 737 Boeing Sky Interior. 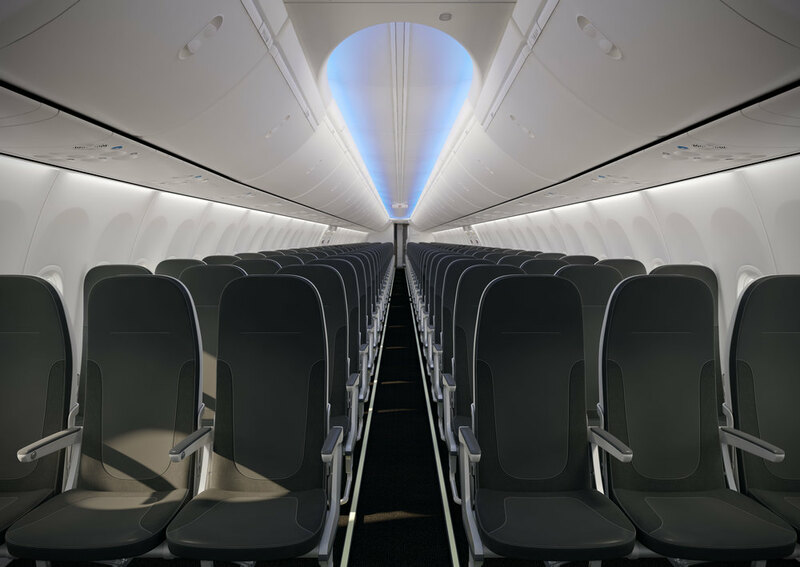 The LIFT and Boeing collaboration resulted in a seat that is optimized spatially, structurally and aesthetically for the Boeing Sky Interior, which delivers an improved travel experience for passengers. Combined with the Boeing Sky Interior, the seats are designed to produce an open and comfortable environment in the main cabin. One seat back with many configurations to meet your needs. From a traditional high literature pocket to innovative PED clamp or even a full featured in-seat IFE, Tourist Class Seating is configurable to meet the demands of every airline. A palette of warm and cool colors enables the seat to effortlessly bridge your brand and the Boeing Sky interior. It has been designed to work perfectly with Boeing's advanced LED lighting. Our color selection has been pre-certified minimizing cost, lead-time and risk.